How many times have you wished that you could tell your teen self something, even if it was "Don't wear that dress to that Homecoming dance"? And how many of you teen readers have wished you could see how the awesome and cool YA authors you love have morphed from their teen years into the cool people they are? What started out as a cool blog is now an even cooler book--Dear Teen Me. 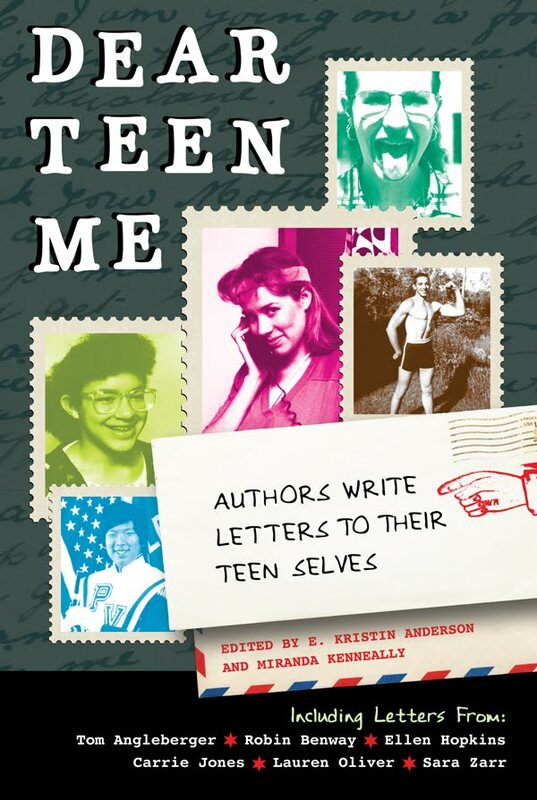 Dear Teen Me: Authors Write Letters to Their Teens Selves is an awesome book that will be out on October 30th and features letters from YA authors such as Ellen Hopkins, Lauren Oliver, Elizabeth Miles, Carrie Jones, and Melissa Walker (just to name a star-studded few). To celebrate, I thought I'd share my own Dear Teen Me letter. First off, stop thinking that you are fat. You are not fat. And the sooner that you accept that you are neither fat nor a size 4, you will be so much happier, trust me. Second, you are obsessed with grades right now. That’s understandable and there’s absolutely nothing wrong with having goals and wanting to do well, but you need to do us both a favor and take a step back and realize that you do not have an academic career, you have a life. The schools you are applying to are not going to determine what sort of person you become. This is important because (are you ready for this? )…you are not going to get into college right away. It’s not for lack of trying, it’s not because you did anything wrong. You’ll just end up on every single damn waiting list there is, and you’ll wait and wait and wait until you enroll at the local university you made fun of your entire life a month before classes start. It’s going to be all right, because it turns out you couldn’t have afforded anything else anyway, and you’re going to have a whole bunch of amazing experiences and make awesome new friends who know you better than those high school ones who dumped you because you refused to drink at that party that first Thanksgiving break. It’s going to take you a long time to realize this, and a little bit longer to accept this, and the times in between will be filled with lots of questions and doubts and yes, a little bit of depression, but be patient. All of this is stuff you need to learn, and frankly, you know, even in your dark moments of stunned, depressed fear, that all things happen for a reason. Third, the thing that you are most proud of is that fact that you have thing unwavering faith. Oh, honey. It is not unwavering. I wish with all my heart that I could tell you otherwise, you have no idea. But your world is going to be rocked in the best and worst of ways, and you won’t be able to talk about it. Not yet. You’re going to ask yourself if it’s worth it. You’re going to marvel at the outcome. You’re going to be shocked at the risks you take. It’s not going to be all good, but it’s certainly not going to be all bad. You’re going to worry that doing something because you might regret it in the future is not a good enough reason, but it is. It’s one of the most important reasons. It all comes down to one yes or no question. Take the plunge. I’m waiting for you on the other side. 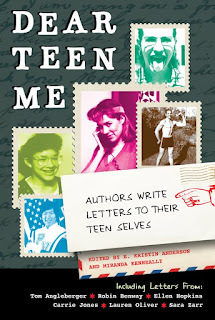 What would you tell your teen self if you could? Love your letter! I did one for my stop as well, and found it incredibly difficult to write! I so admire the authors of this book!